Anne de Courcy hosts our literary lunch, sharing stories of The Husband Hunters at the turn of the last century, social climbing American heiresses who crossed the pond to find titled husbands with power and privilege. This richly entertaining group biography reveals what they thought of their new lives in England, and what England thought of them. 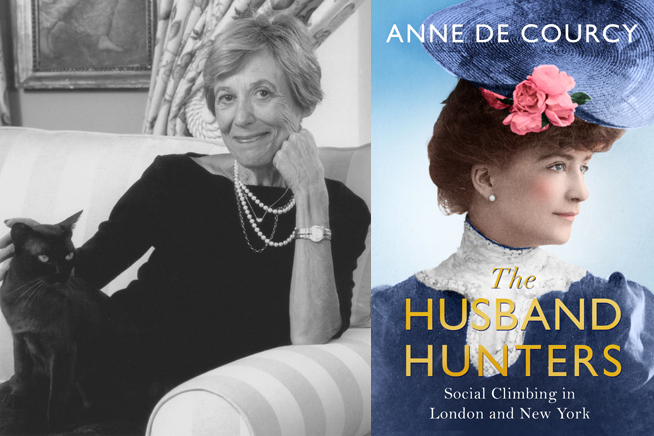 Anne de Courcy is the author of thirteen widely acclaimed works of social history and biography, including MARGOT AT WAR, THE FISHING FLEET, THE VICEROY’S DAUGHTERS and DEBS AT WAR.